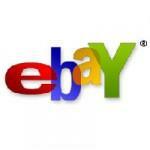 One of the leading ecommerce enterprises, Ebay owns an online marketplace offering thousands of products. It offers a platform for both buyers and sellers to trade online. Customers can also pay online when buying or selling on Ebay, as it offers a safe medium of making the payments for its customers. Its open commerce platform is x.commerce and it allows merchants and businesses of different sizes to expand their business by expanding their consumer base. The company also holds online auctions to offer affordable products. The main aim of the company is to give a new dimension to ecommerce and connect sellers and buyers across the globe. There are currently 8 consumer reviews about Ebay available. Share your review. "Successfully submitted review, your review now is queued for approval?? I thought this was a forum for open opinions. "queued for approval"?? Will an attorney please call me? I DON'T BUY ITEM FROM THE EBAY DEALS. THE EBAY DEALS IS A SCAM. TAKE EBAY DEALS OFF THE EBAY. Bought an item as buy it now and as guest. Item not as described and when it was received, began on 7/3 a dispute with paypal and ebay. it is now 7/15/13 and matter has been suspended with ebay and in process with paypal. Will never use ebay again nor buy from any online or otherwise vendor that supports paypal. I do not want to "sign in" to register a complaint about seller whose rating is 98.6 and should be much lower because of poor description of item bordering on misleading/fraudulent. I DON'T WANT TO BUY OLD SIGN FROM 21clock (36727)! 21clock (36727) IS THE WORST SELLER IN TN. ON EBAY! IT'S A SCAM! I DON'T BUY 9" x 3" Signage Sign Commercial Restaurant Plastic FROM justwareusa THE justwareusa WORST SELLER ON EBAY! IT'S A SCAM! AND DON'T BUY FROM justwareusa THE Hacienda Heights, California SELLER! Please take a note that you are about to post a public review about Ebay corporate office on CorporateOffice.com. This review will be public, so please do not post any of your personal information on this website. If you would like to contact the corporate offices of Ebay, please use their contact information such as their phone number, website, and address listed above to contact them. However, sometimes staff from Ebay headquarters do read the reviews on this website.